This PDF takes you through the screens of the Child Olympics activity. We see that the United States performed poorly in the latest Child Olympics - in infant mortality, child poverty, preschool enrollment and high school graduation. Family income earned by the top 5% and the bottom 20% grew in tandem from the 1940s to the 1970s. 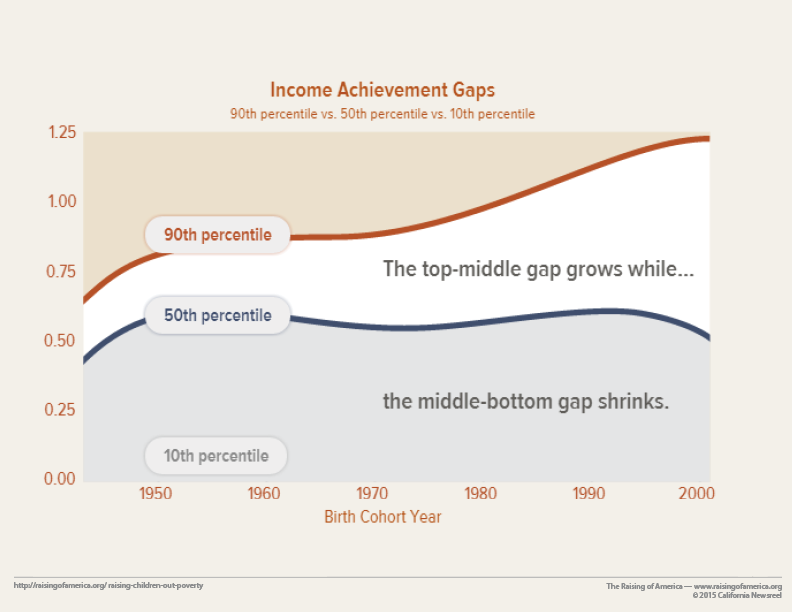 But since then, income for the top 5% has grown and grown and grown while income for the bottom 20% has stagnated. This PDF displays the screens from this activity. From 1948 to 1979, wages in America matched its explosive growth in productivity. But since then, productivity has risen dramatically and wages have barely moved at all.